Just so you know, I am fully aware that today's topic might be controversial. I am prepared for the dislike mail, the ugly comments, the disdain from knitters and crocheters who disagree with me. Being fully aware of the stir I'm about to make, I am plunging in anyway, into the murky waters of color pooling. There are some who adore pooling. I get that. I really am open minded about this and I hope you can find a way to be open minded about what I'm about to say. I tried, I really did. I have seen projects pool that did so in ways I could live with ("it's artistic, yeah, artistic. That's it..."). This block from my Flying Geese quilt has some pooling of sorts that works. A little pooling on this border between the green sections. This I can live with. But there are way too many that turn out much less artistically. Much less. See the section at the top? Where the brown turns all muddy? Looks like, well, a pool of mud. When good socks go bad, or something like that. I realize there are those of you out there who love it when yarn acts this way. 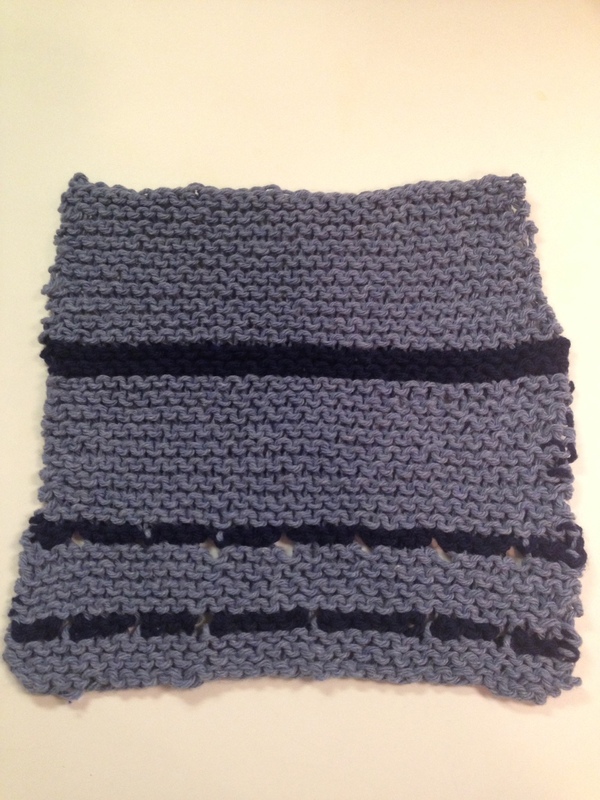 There is a Ravelry group for you and even a website that will (somehow) tell you how to plan your pooling. (Thank you, Desiree, for that tip!) My friend Dianne tells me that SAFF will have a class on working with variegated yarn, but I think it's too late for me. I tried, with the sock yarn above, using two skeins and switching every row to "break up" the pooling and it looked even worse. 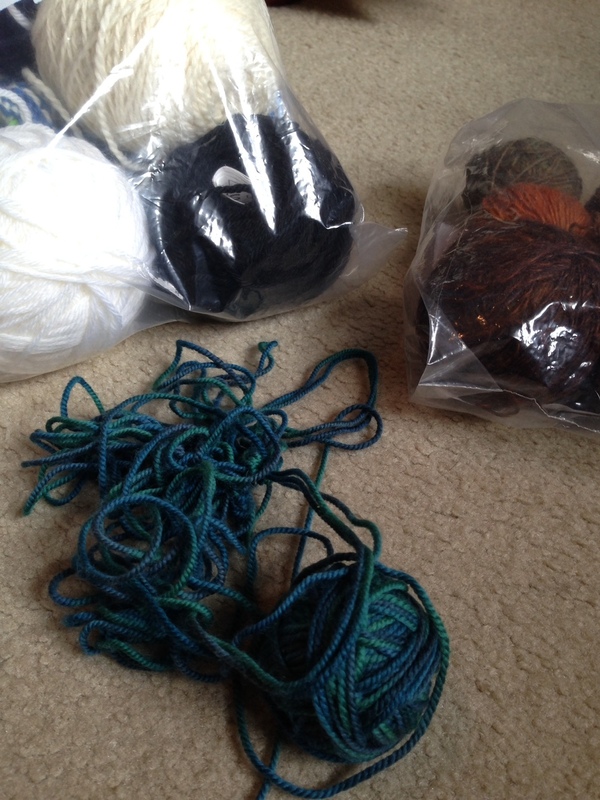 I also hated having to stop and untangle the two working yarns all the time. Fighting the pooling to make a sock was sucking all the fun out of sock knitting, and y'all, that just ain't right. It probably shouldn't have surprised me. I prefer Baroque music and Georgian architecture for their symmetry, so yeah, the vagaries of variegated yarn and its issues with pooling are difficult for me to embrace. 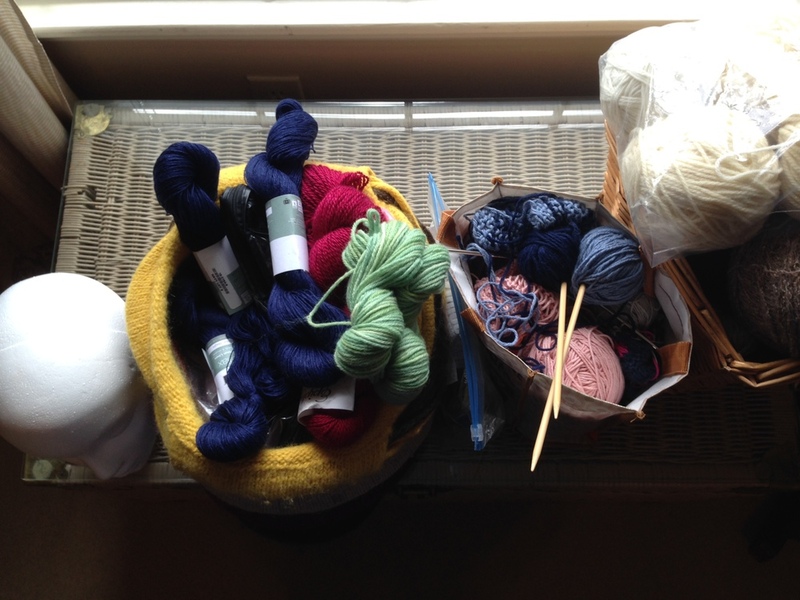 My lesson here is that I might be happier sticking to solids, self-striping, tweeds, hand-paints and tonals. And I'm ok with that. Remember, life is too short to knit something you hate. What has been your experience with pooling? Are you a fan? I'd love to see what you've done. Either post in the comments below or in our KnitOasis Ravelry group.